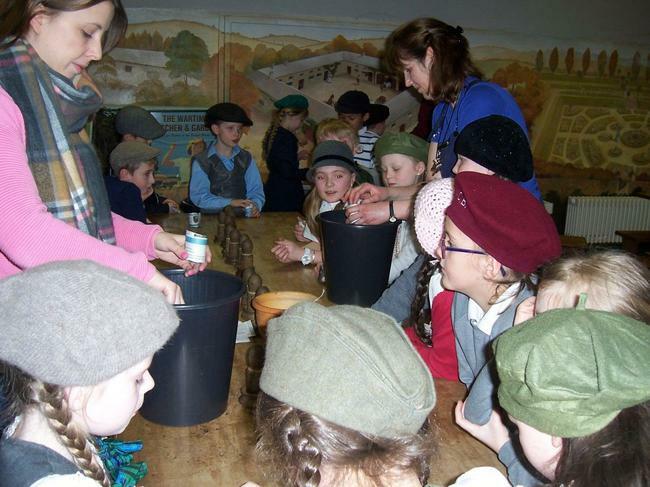 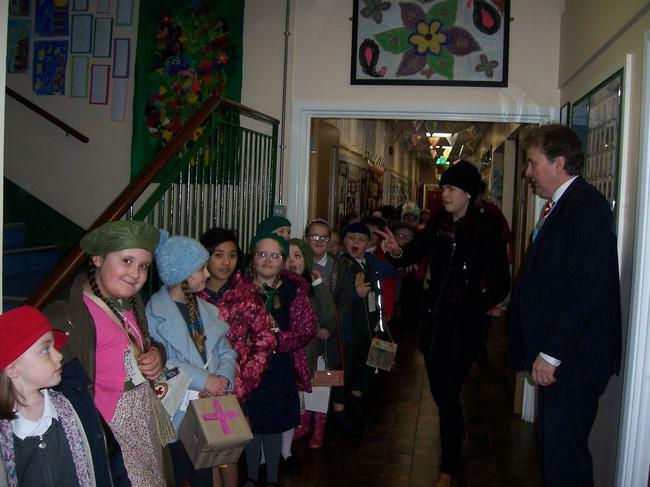 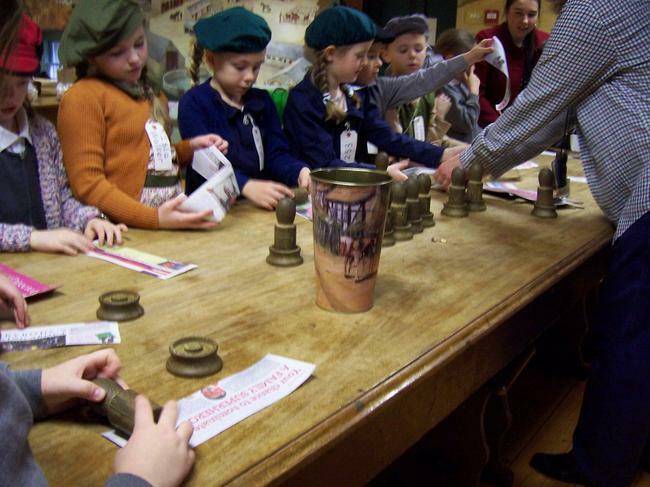 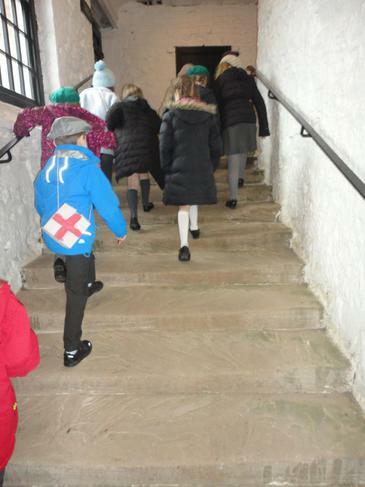 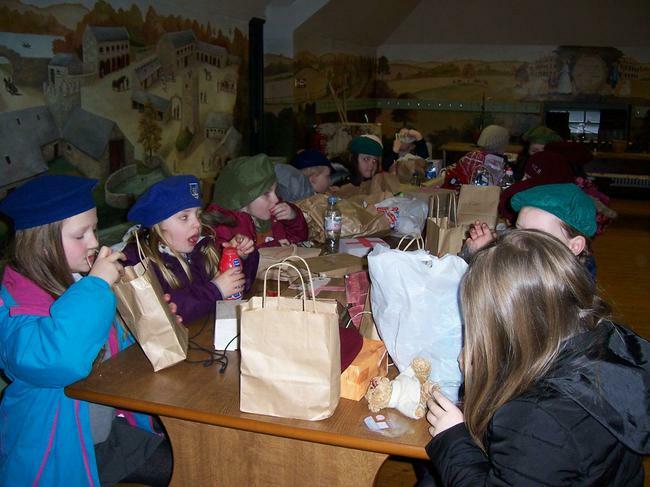 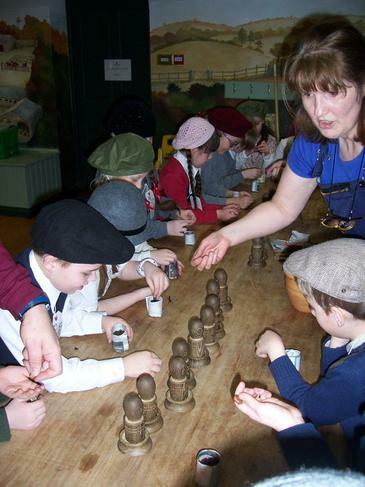 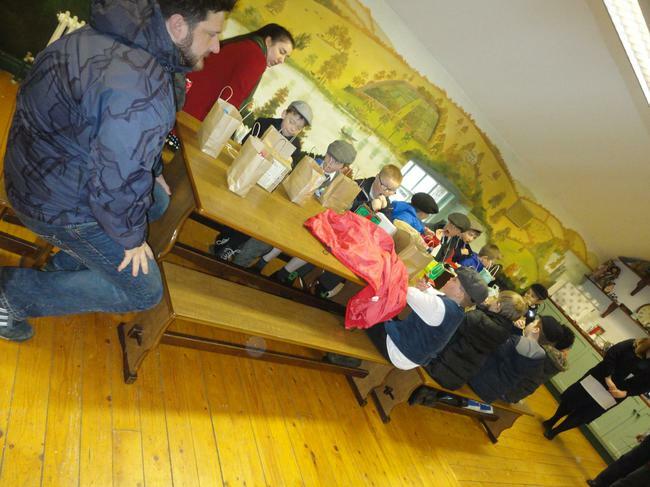 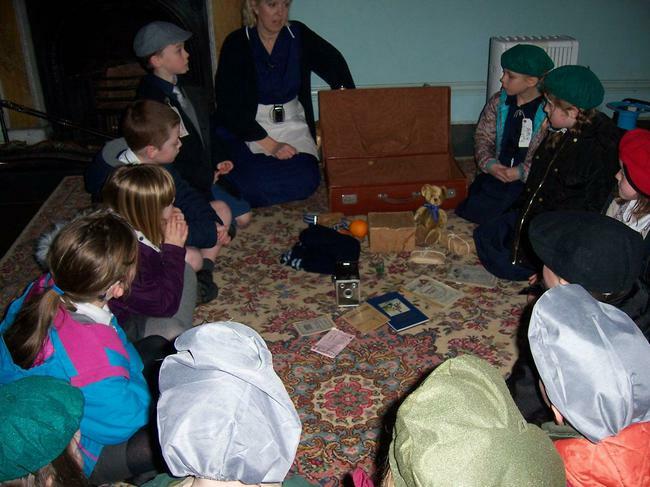 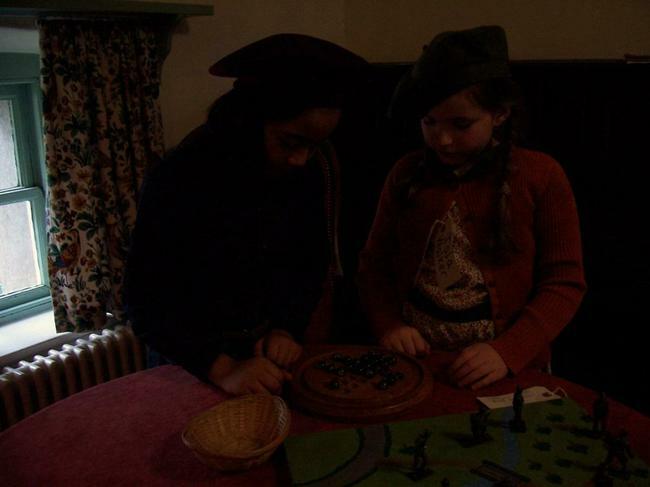 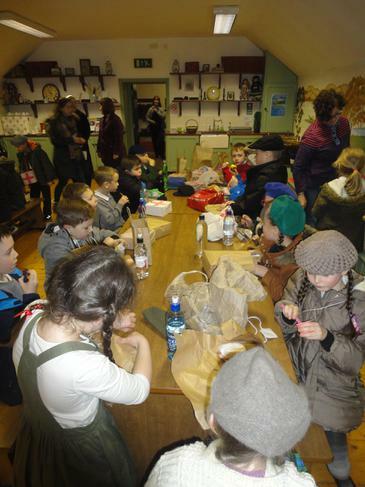 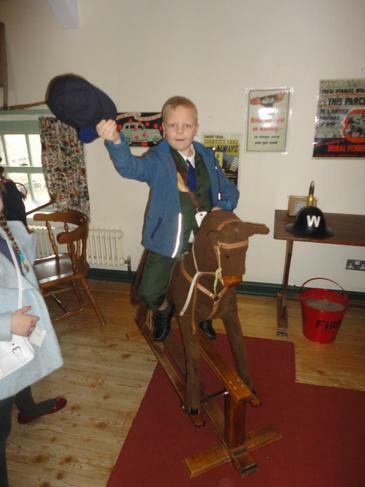 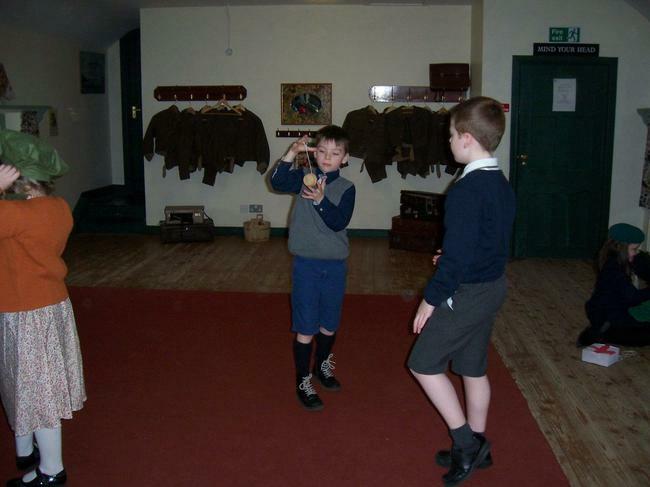 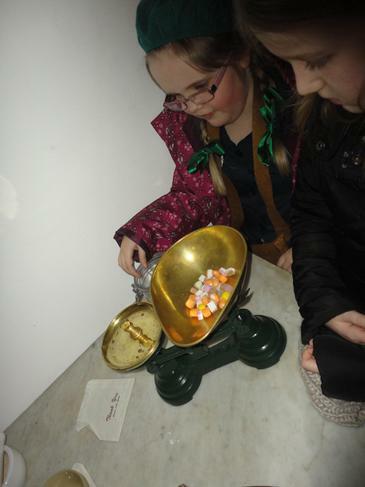 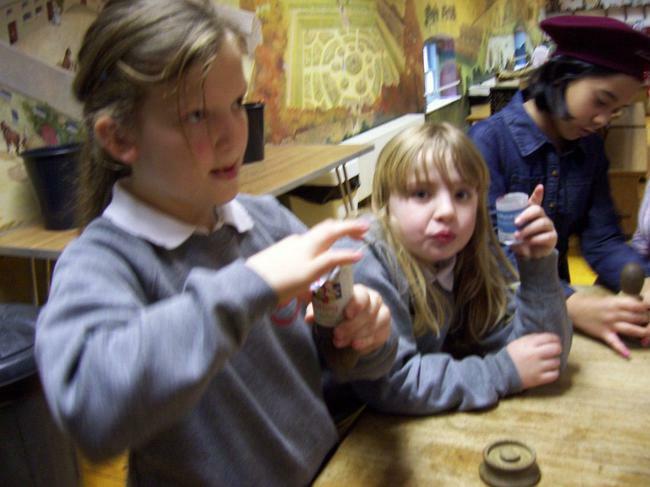 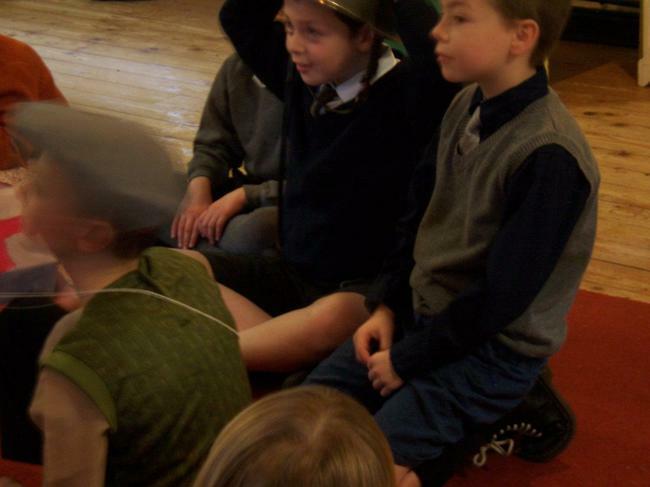 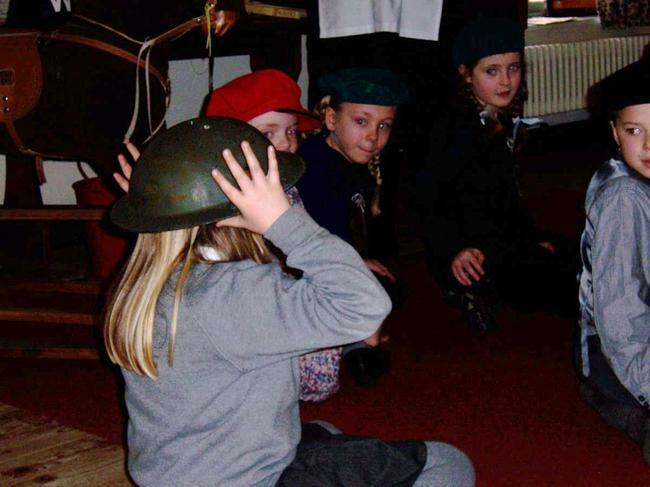 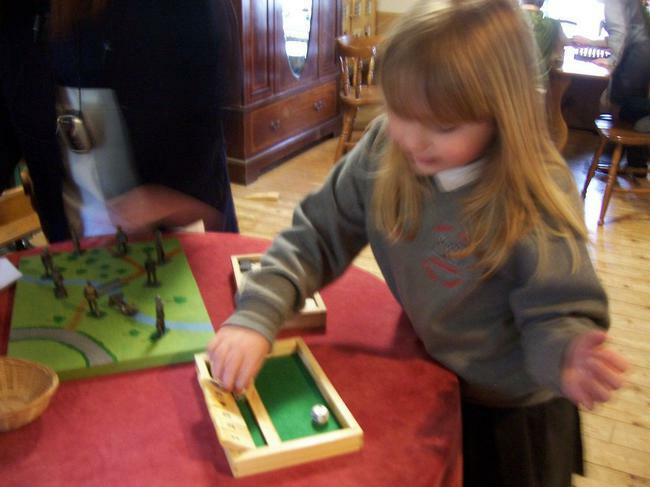 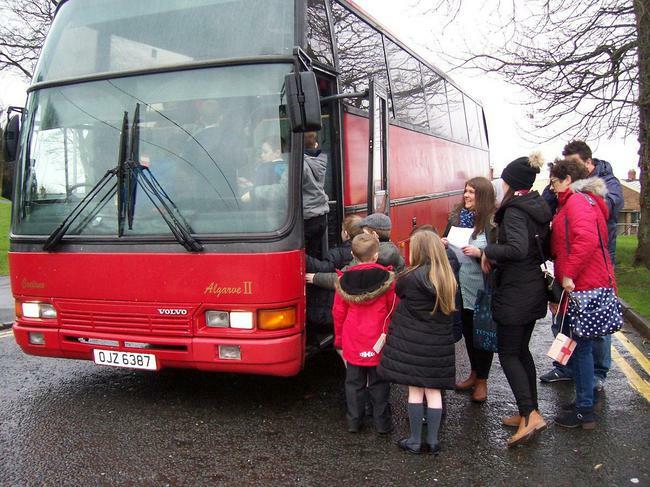 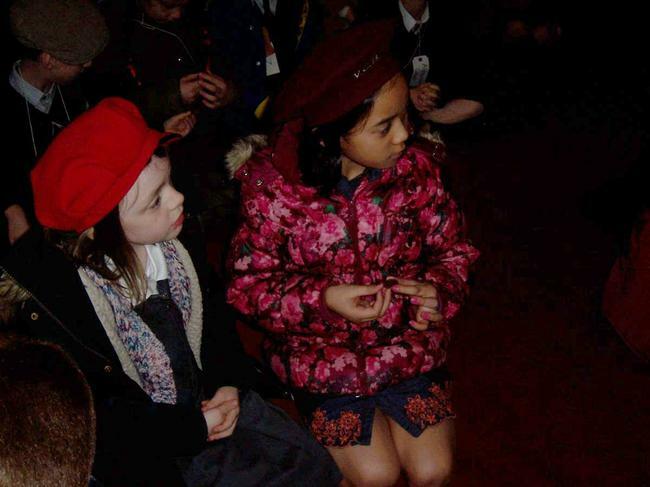 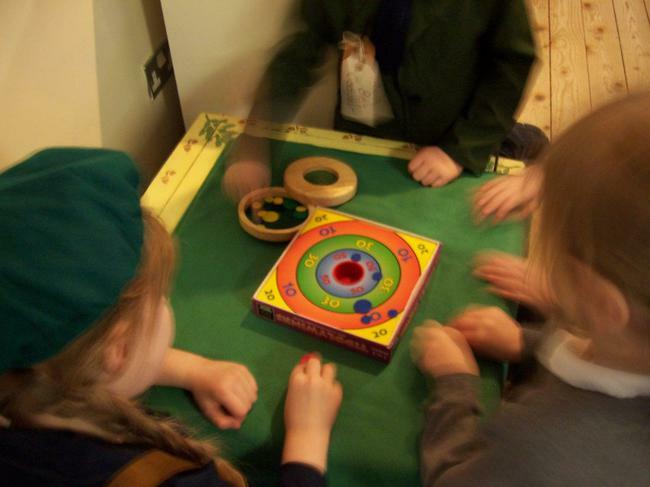 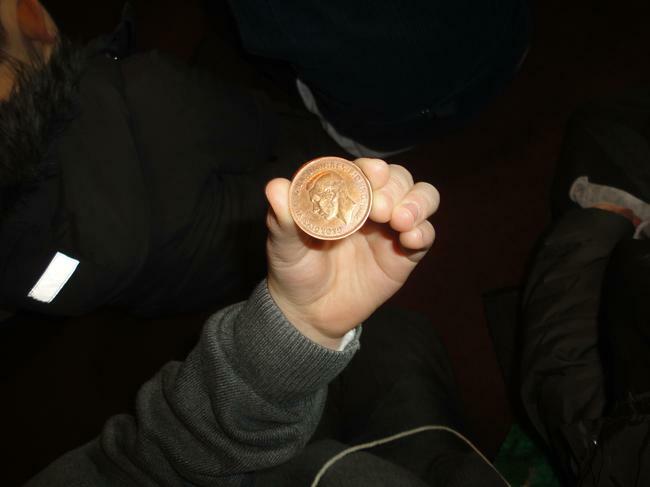 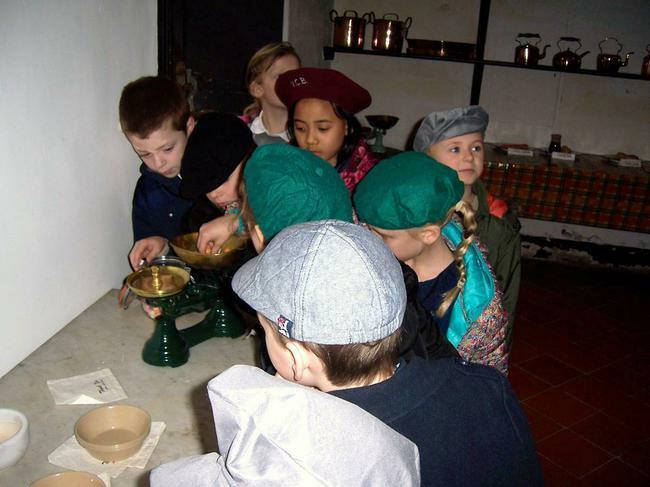 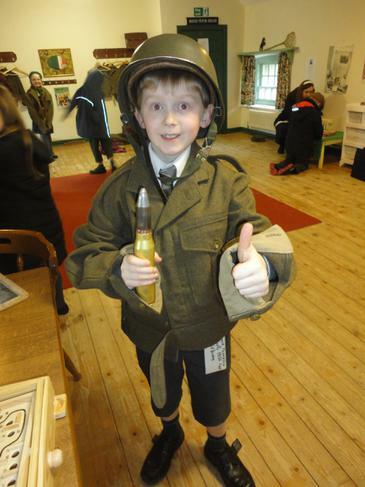 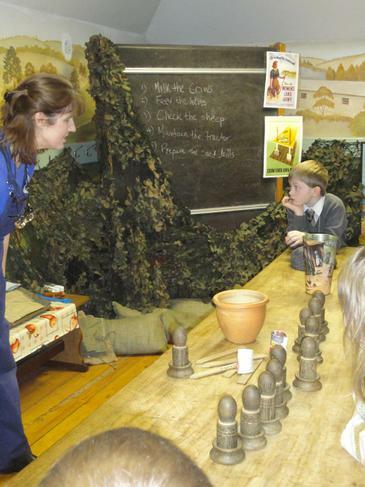 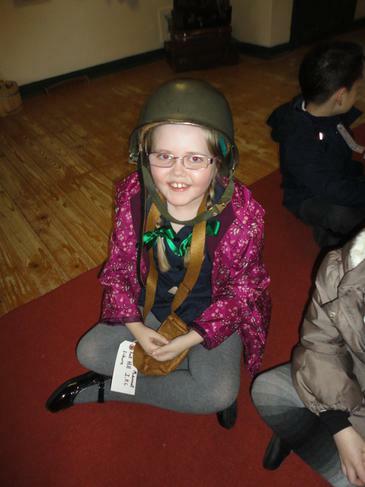 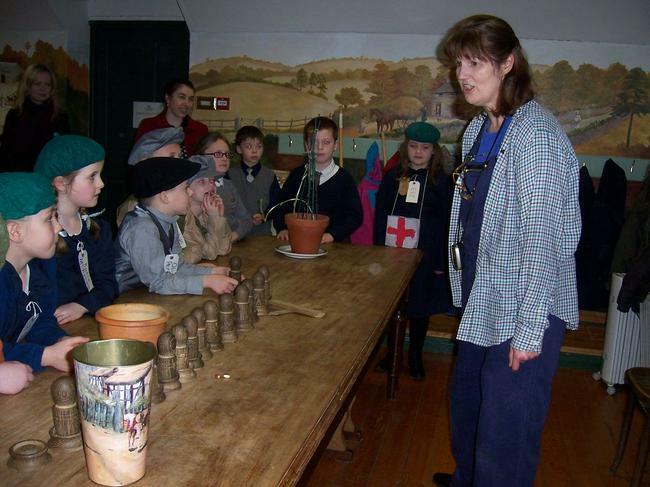 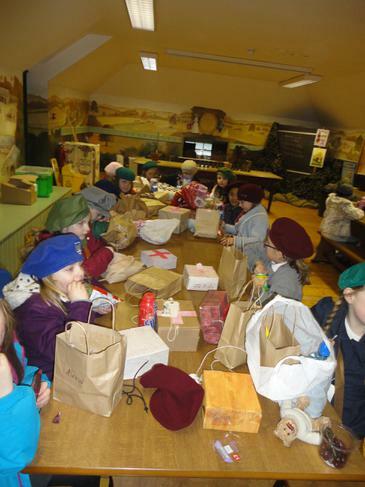 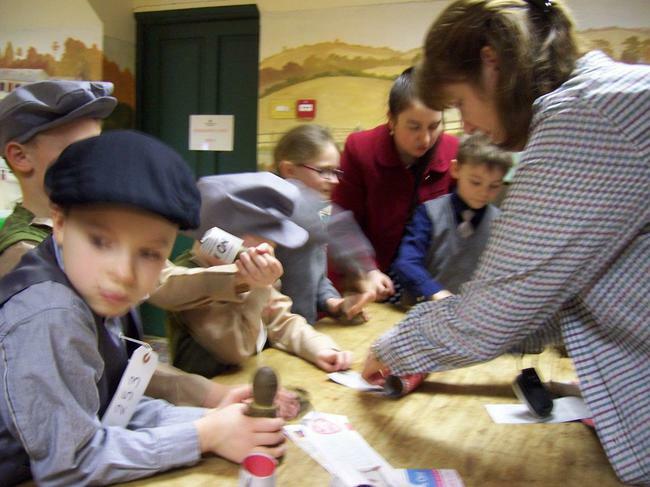 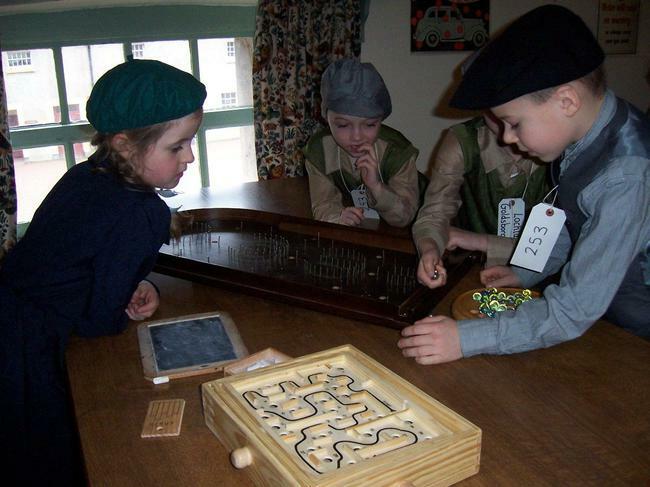 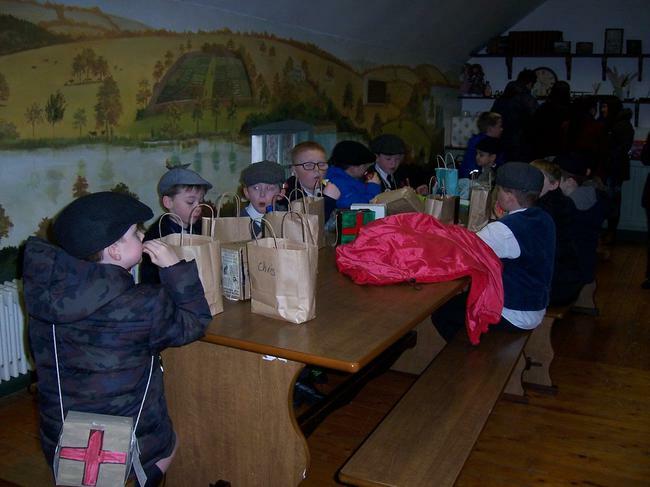 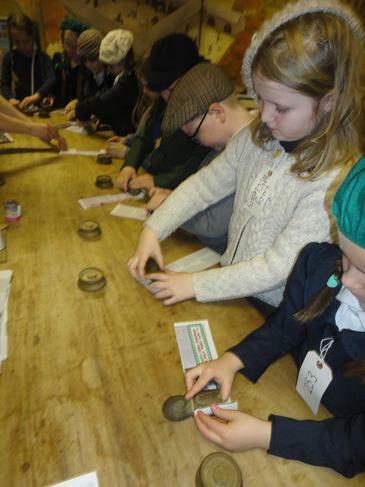 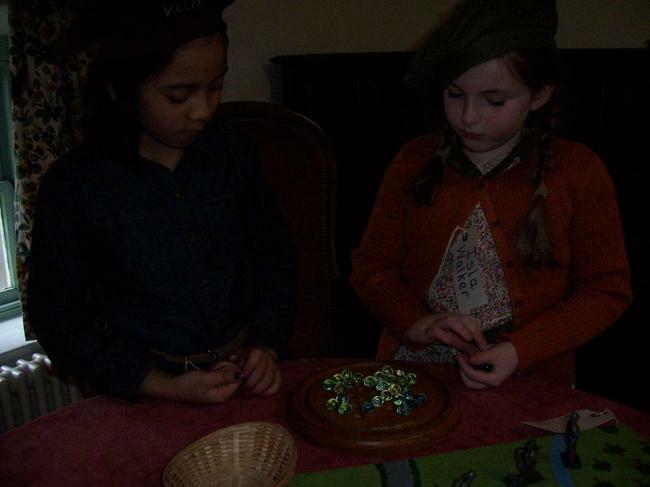 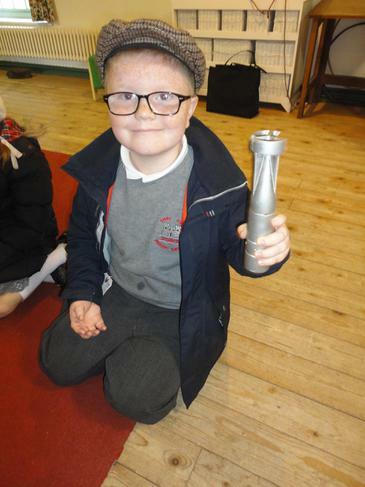 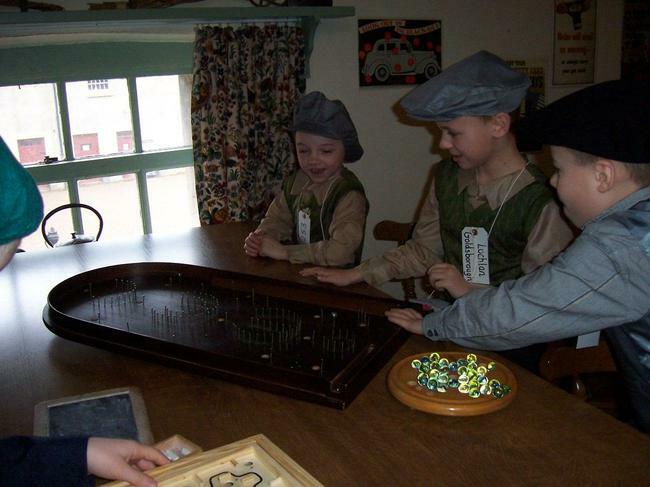 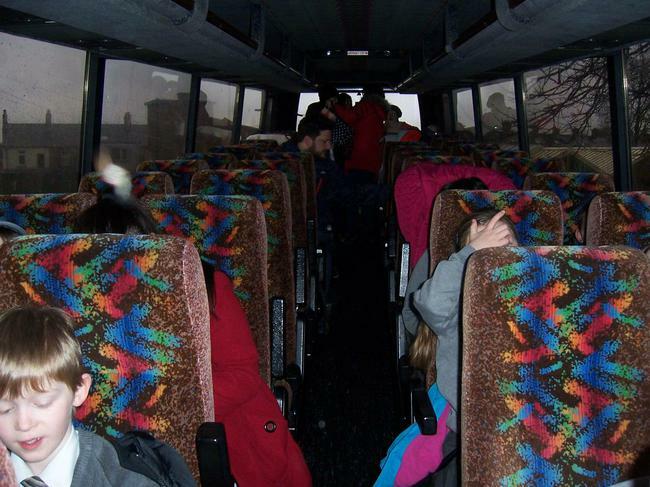 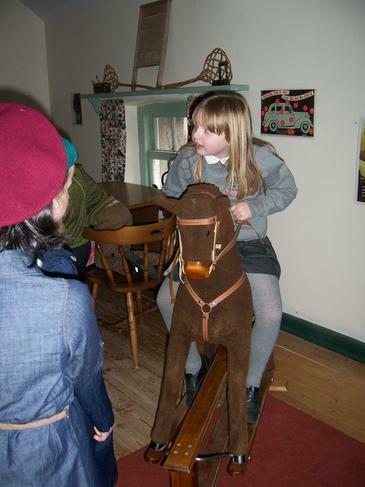 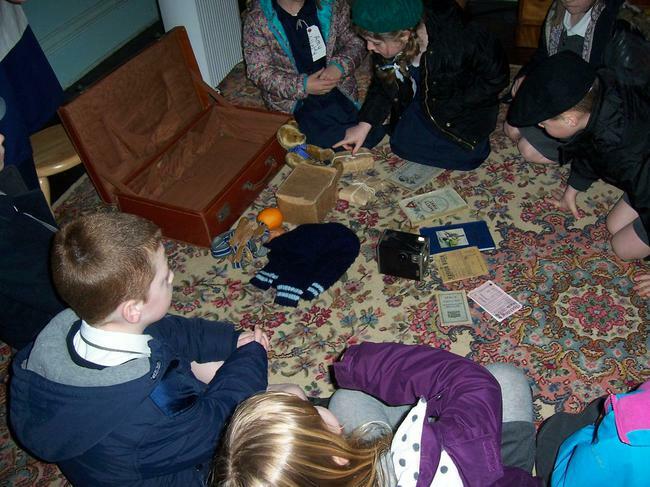 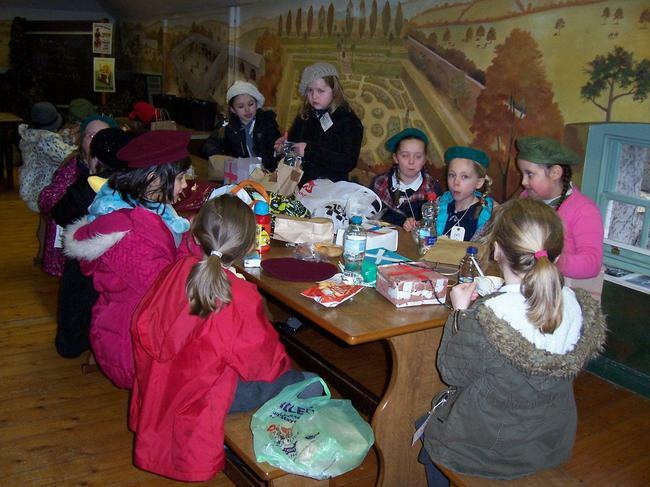 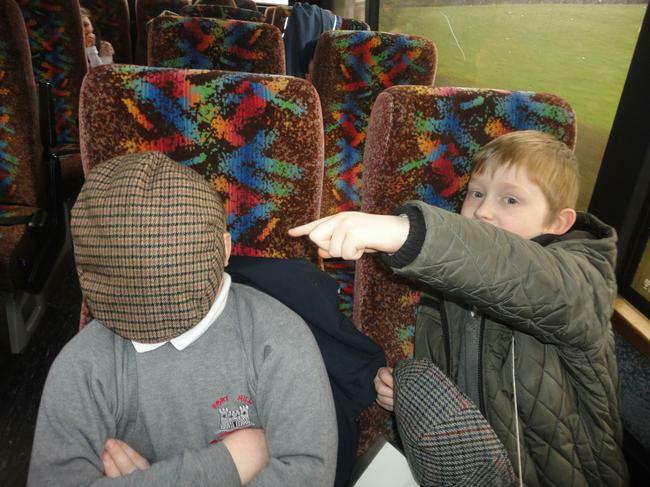 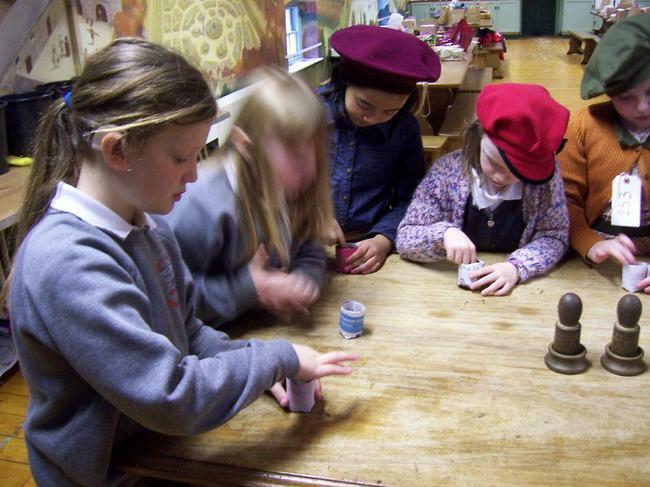 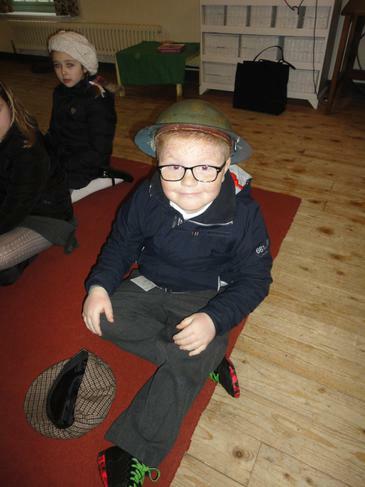 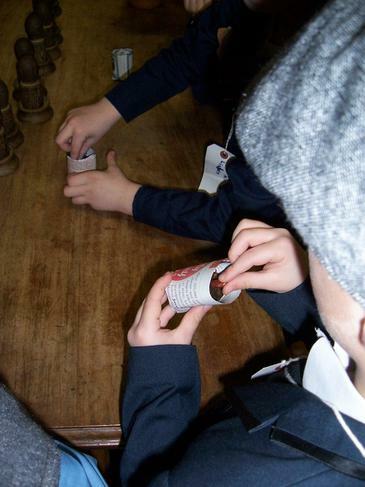 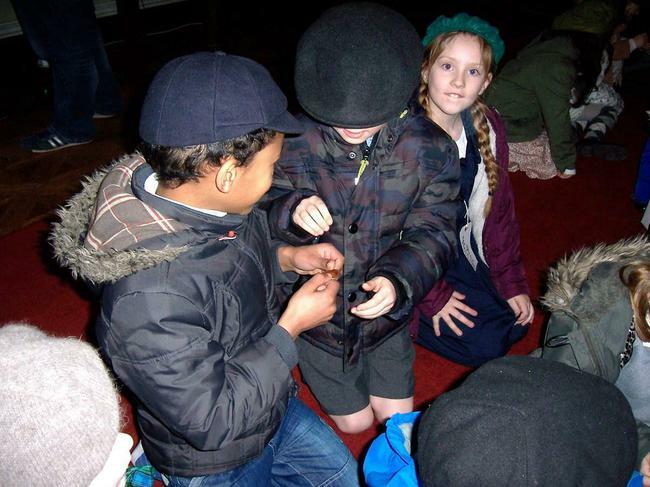 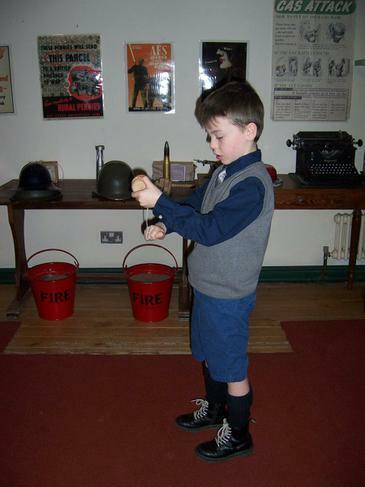 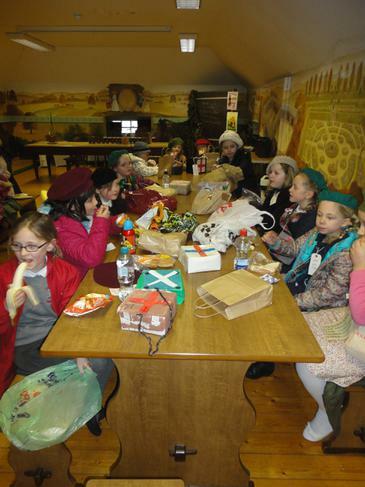 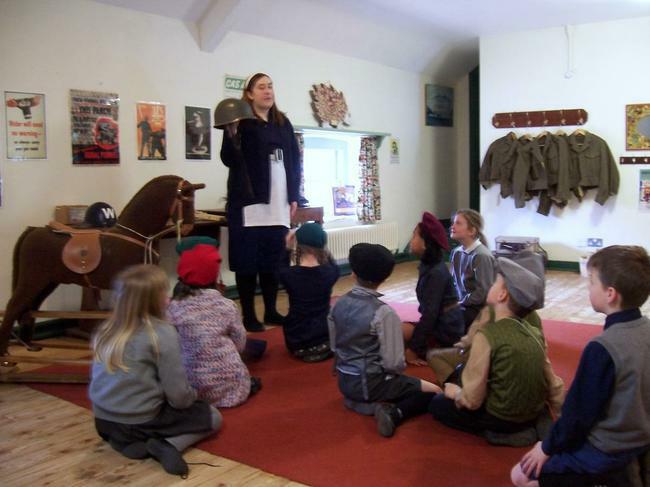 On Monday 29th of February P4 travelled by bus to Castle Ward at the bottom of Strangford Lough for a World War 2 activity day. 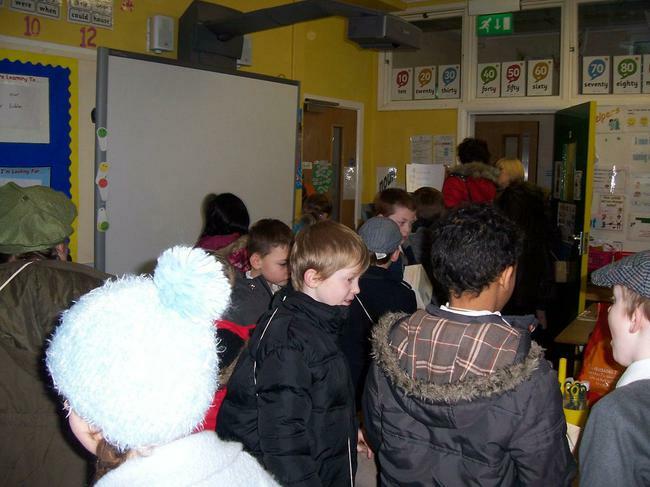 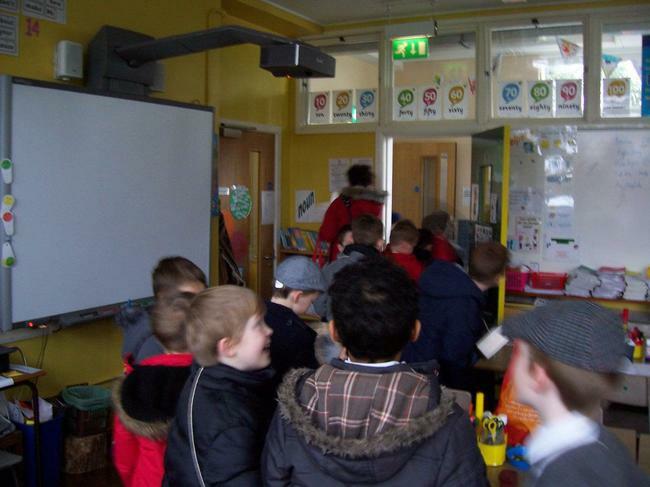 We joined up with the P4 Class from Brownlee Primary School for the visit. 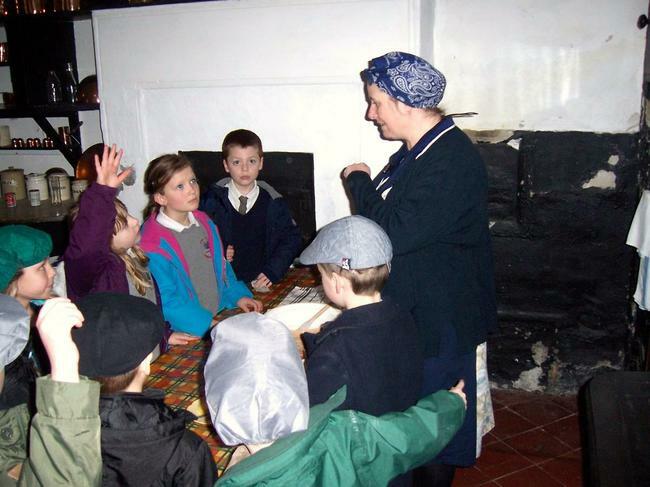 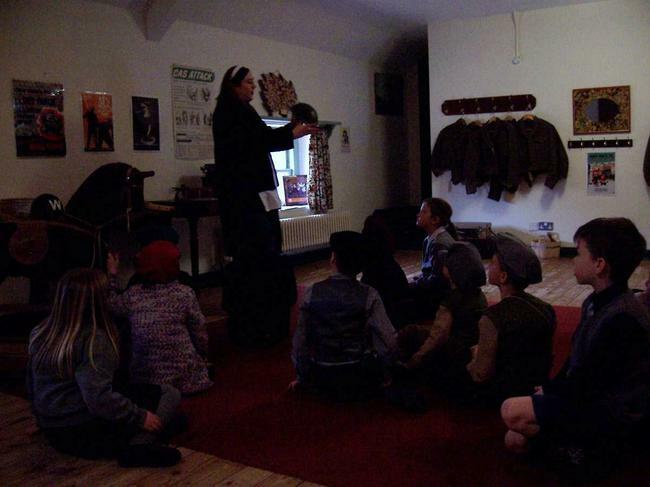 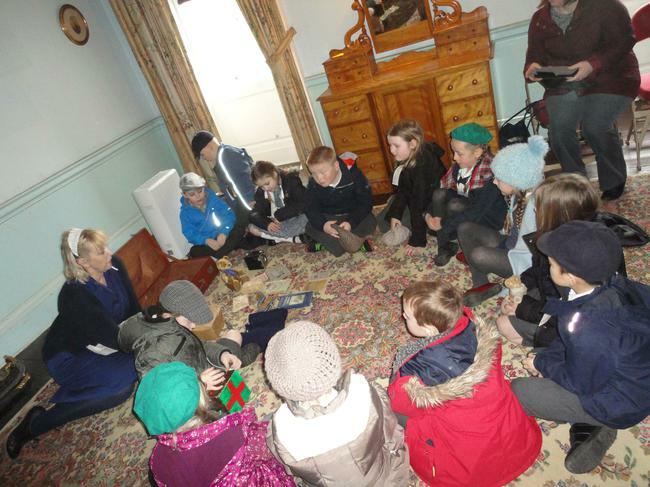 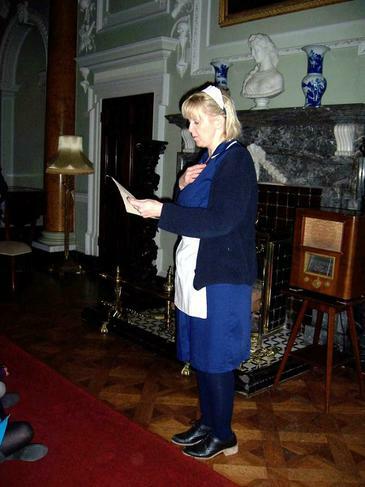 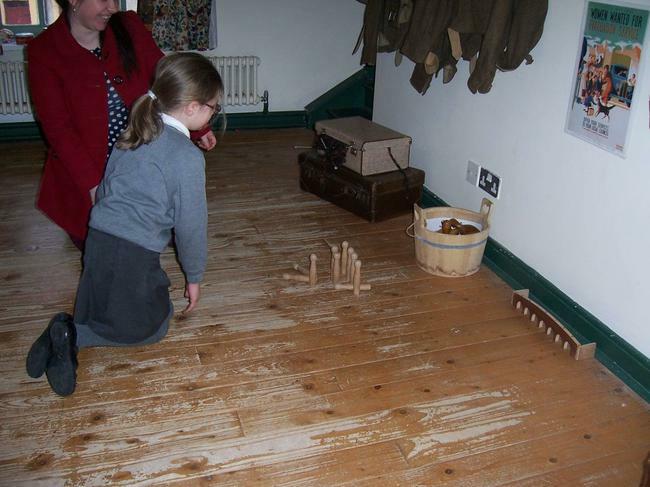 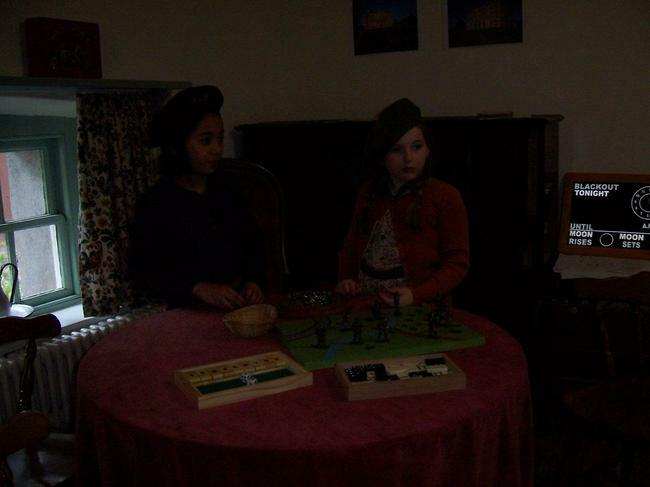 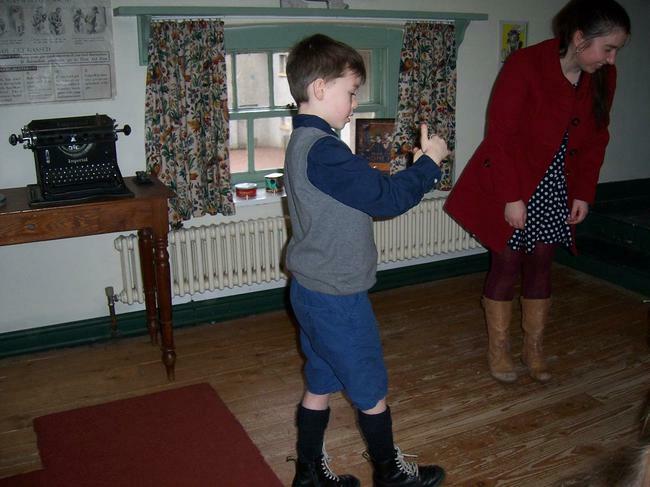 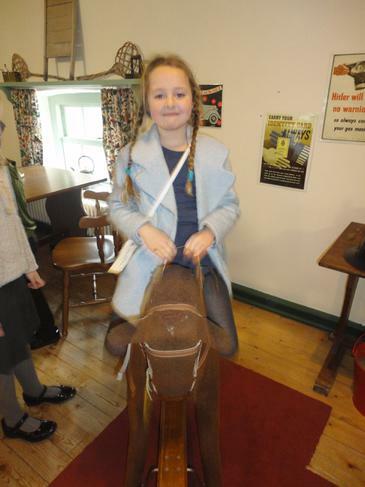 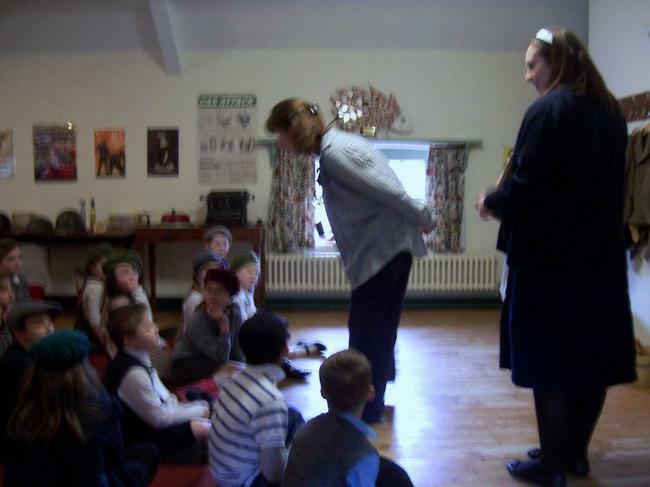 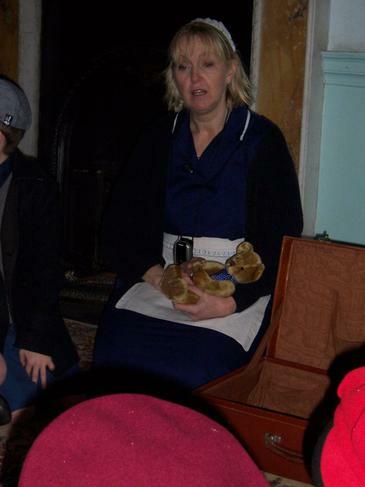 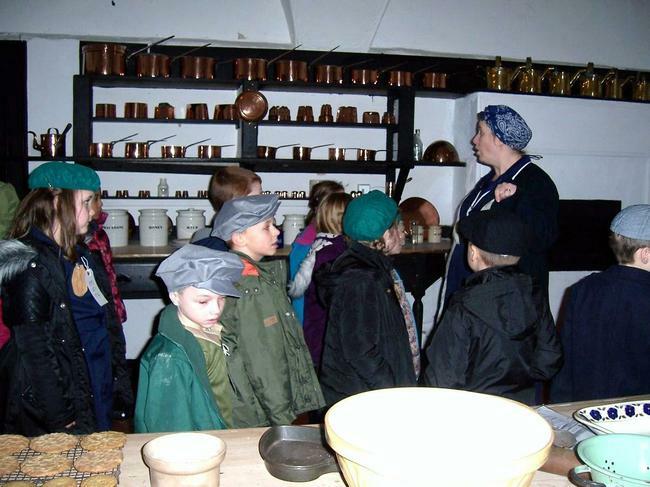 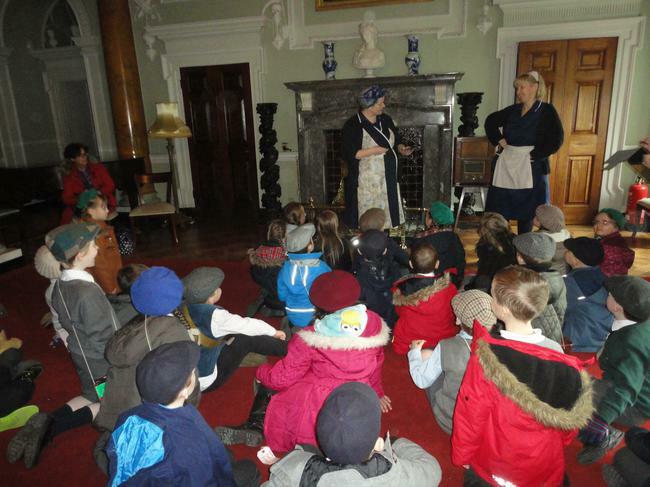 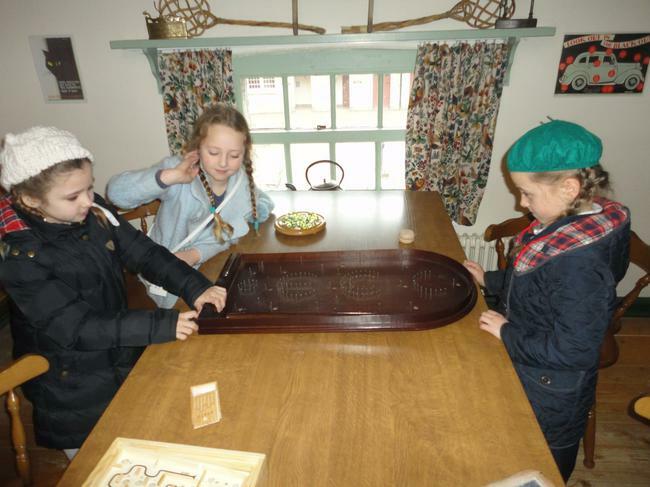 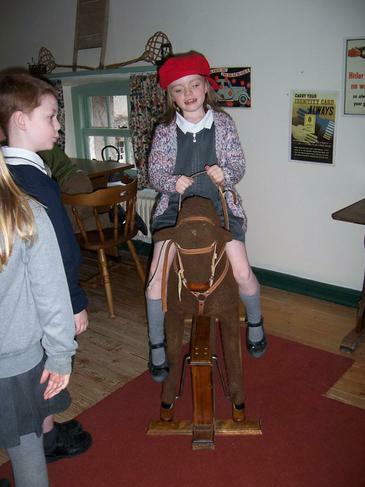 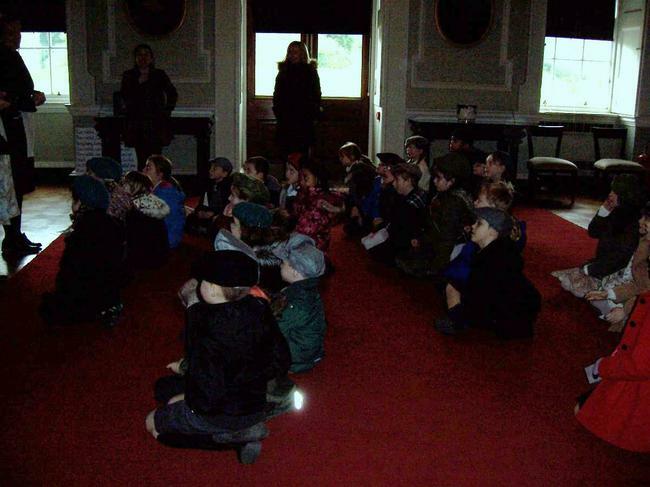 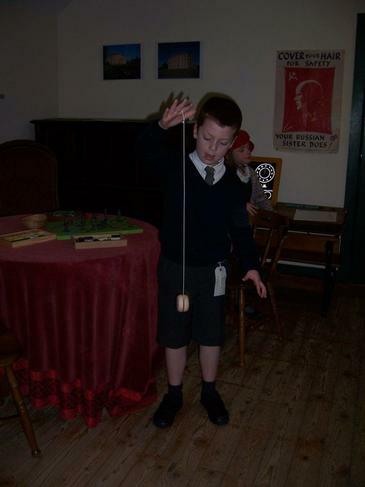 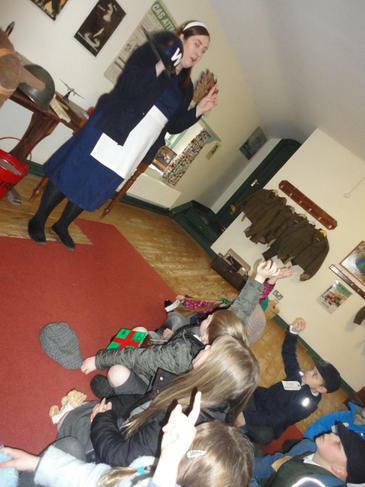 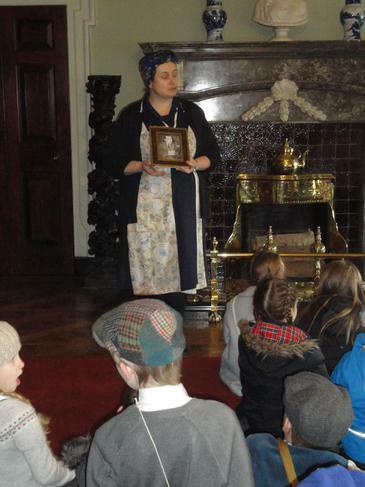 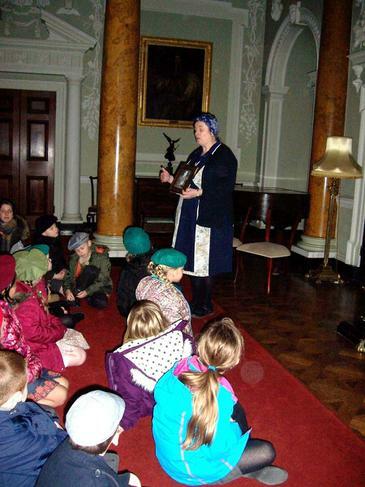 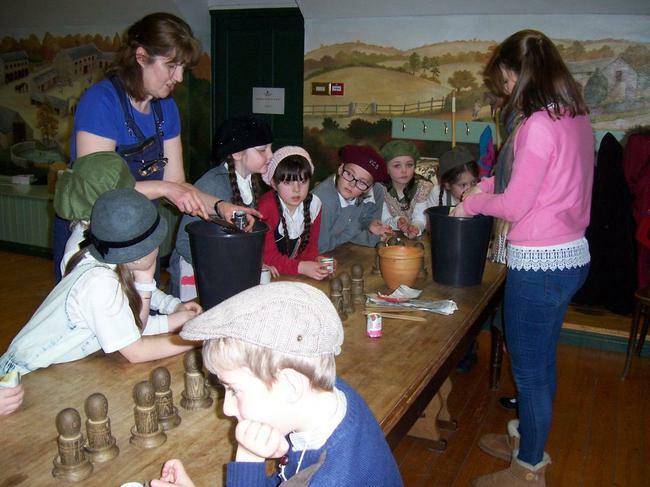 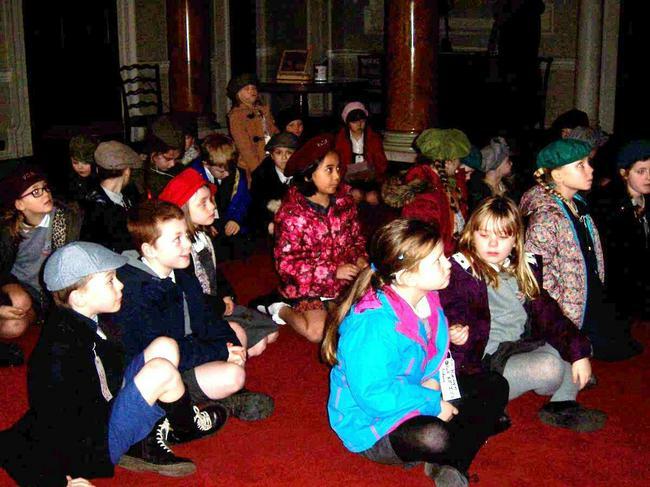 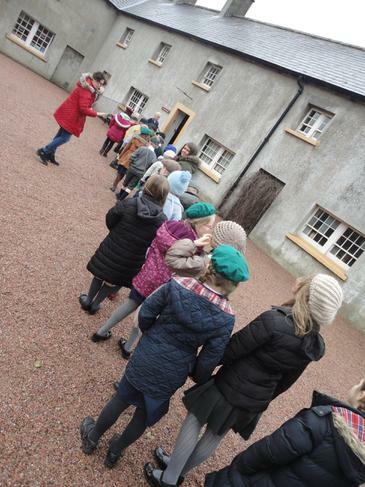 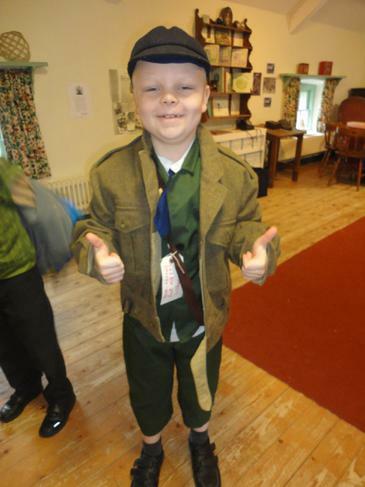 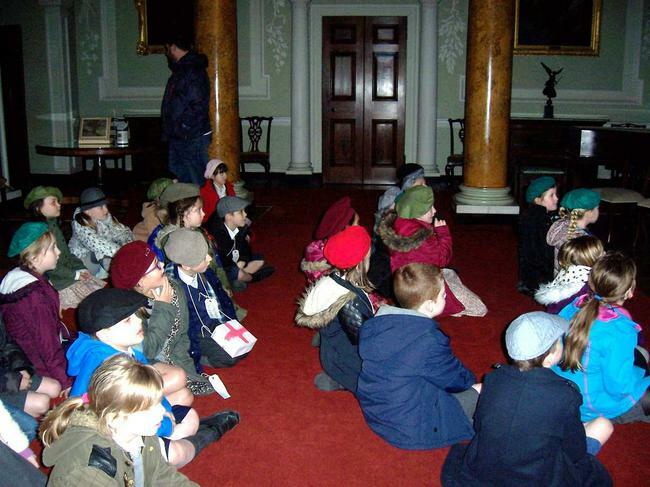 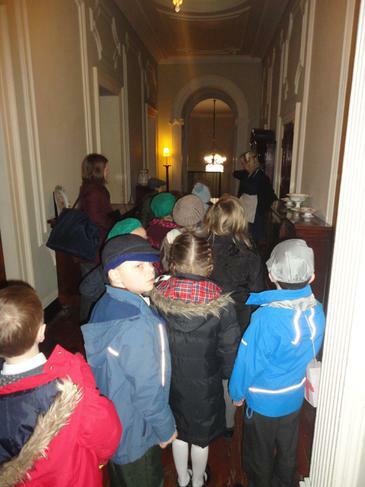 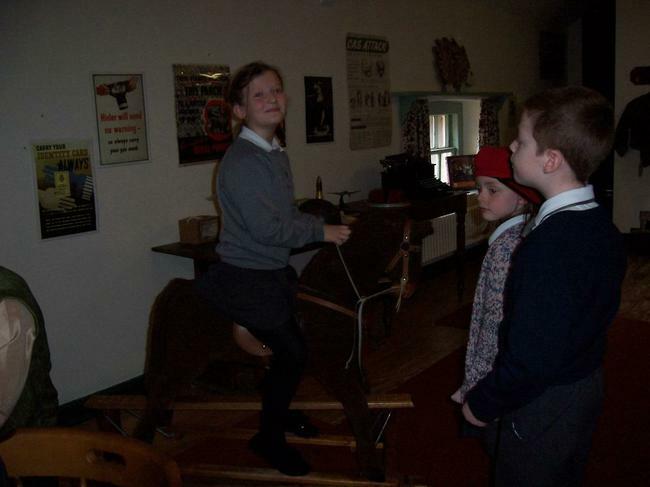 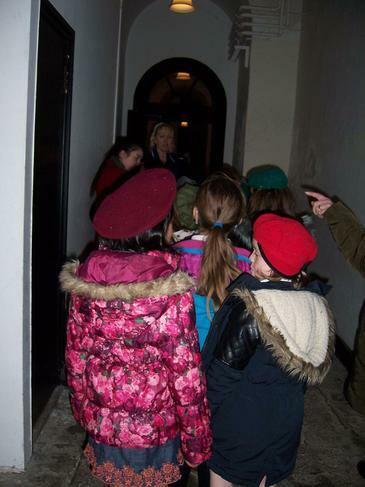 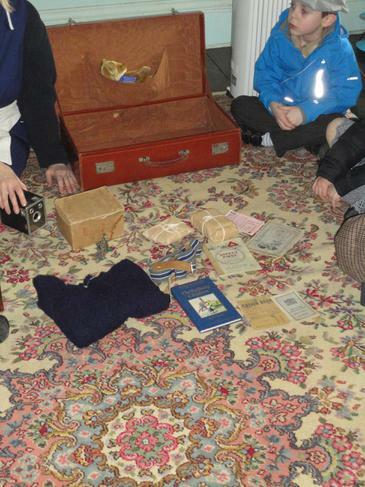 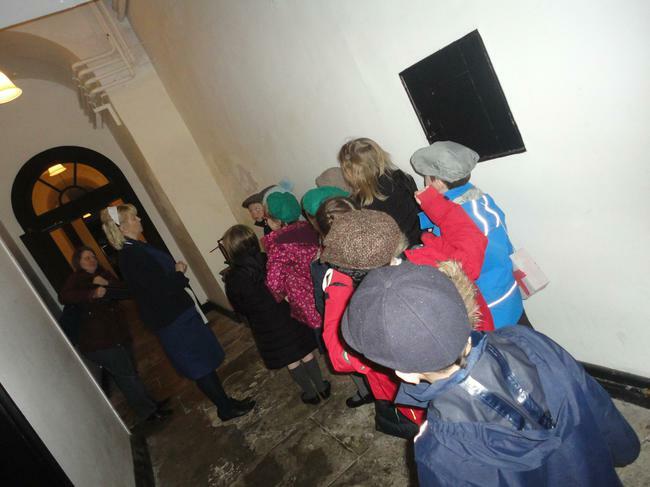 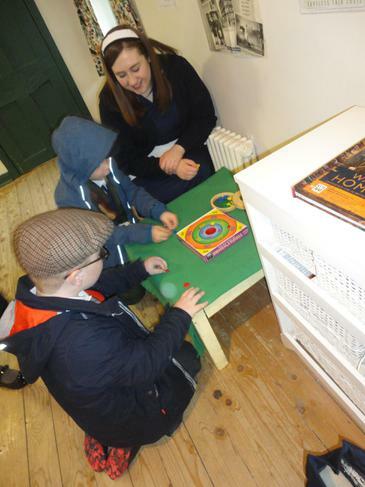 It was a very exciting day and we got to experience what life would have been like in the 'Big House' during the war. 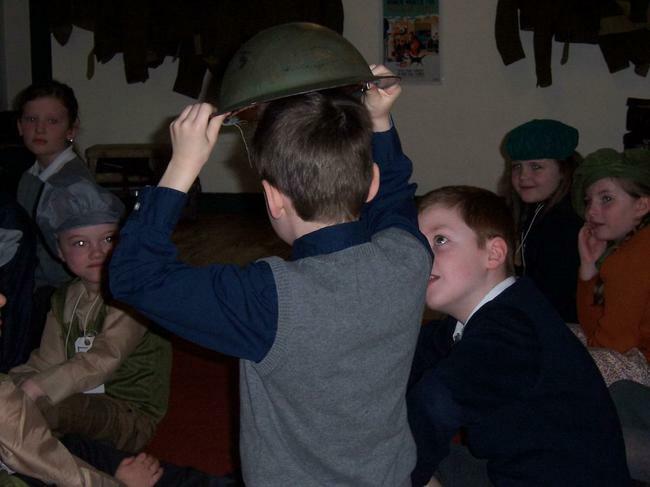 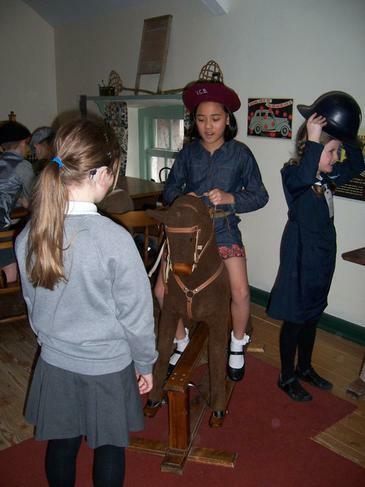 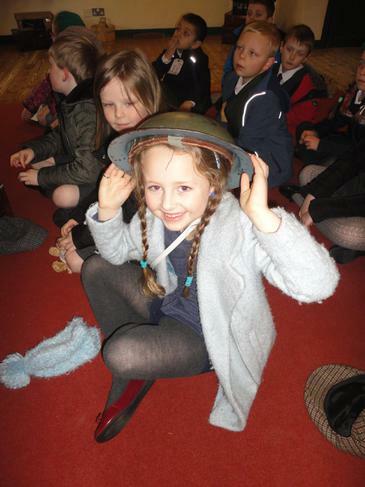 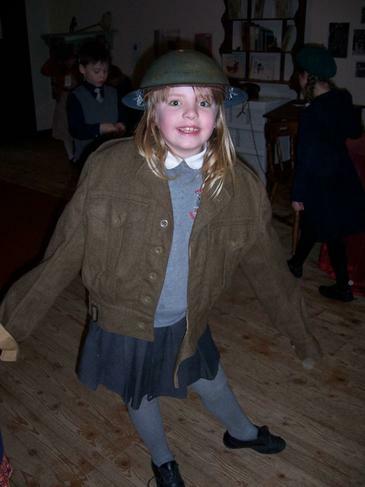 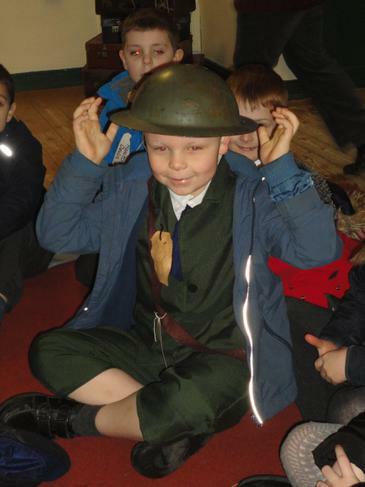 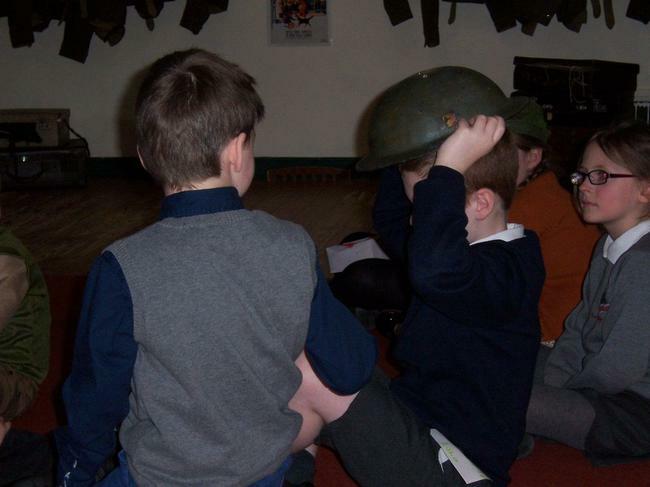 We were shown some of the helmets that British, German and American soldiers wore during the war, some of us got to try them on! 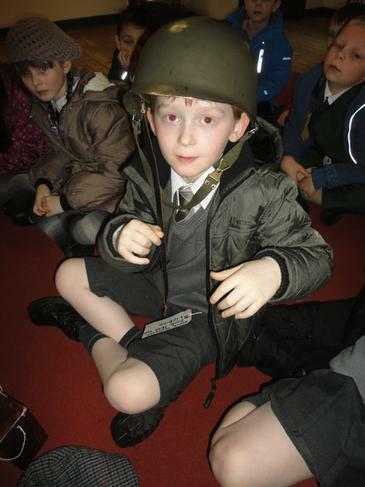 We looked at real newspaper clippings that staff had kept in scrapbooks during the war. 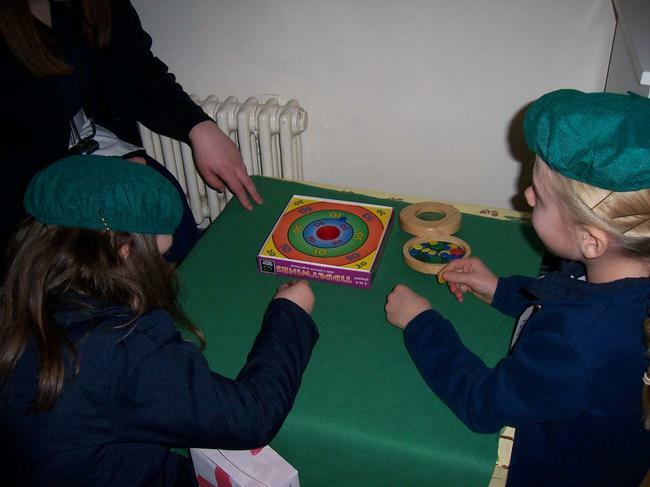 There were lots of different games to play and we tried on some clothes too. 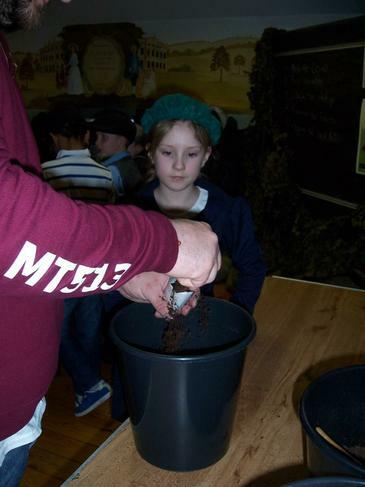 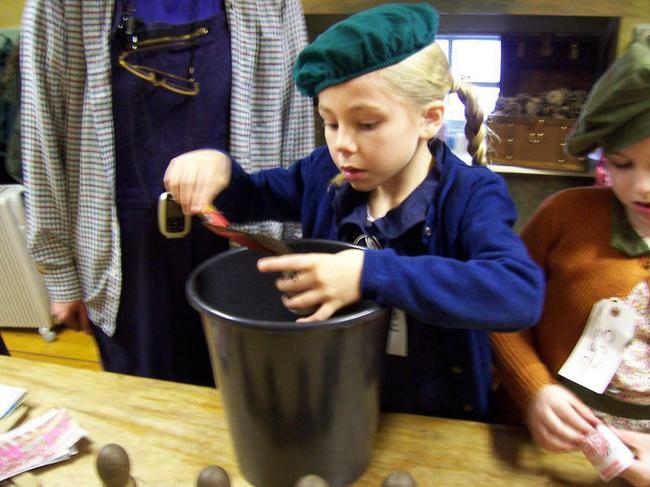 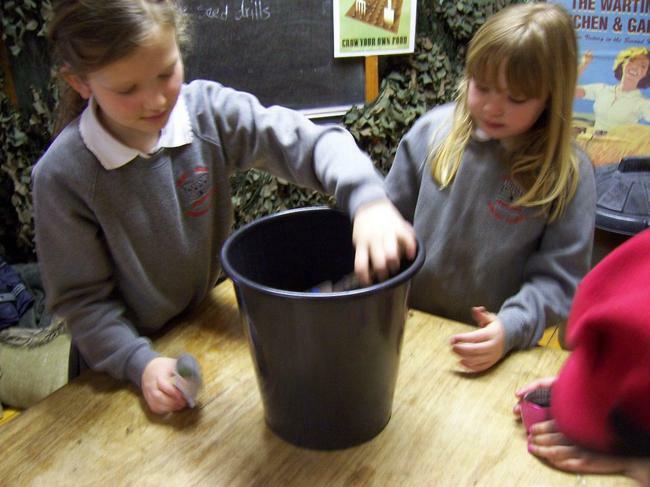 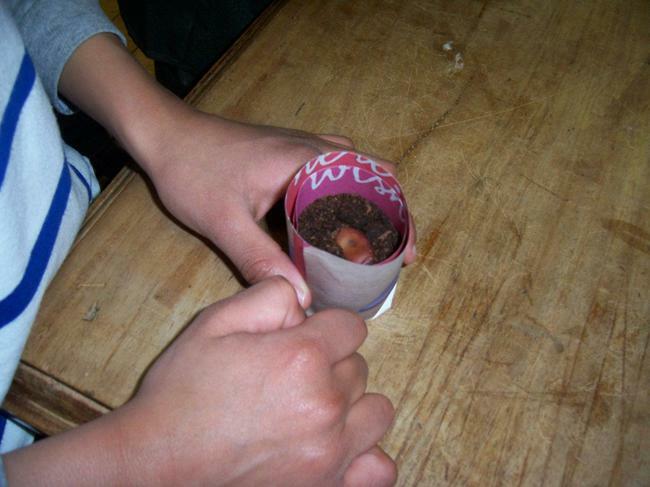 We got to plant our very own bean seeds, just like they did in the war. 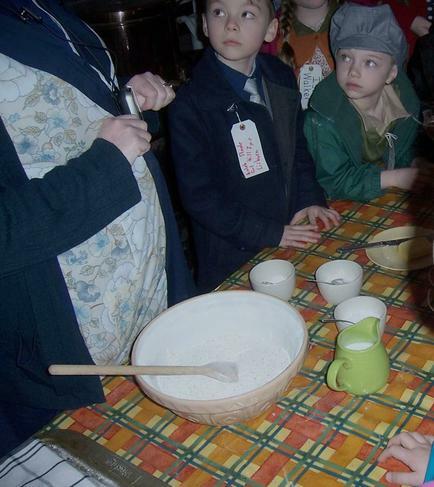 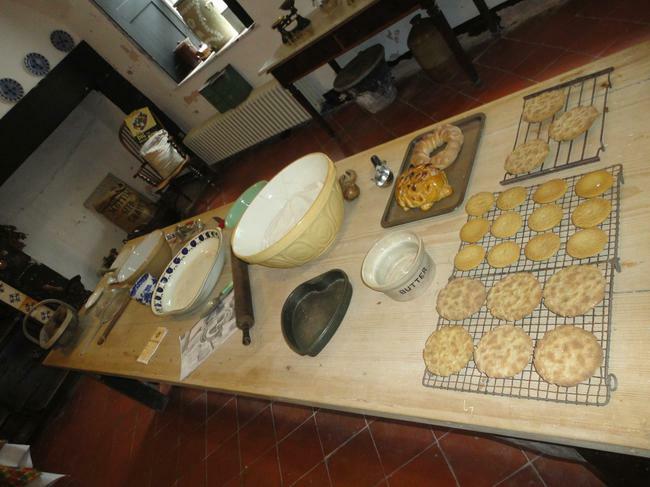 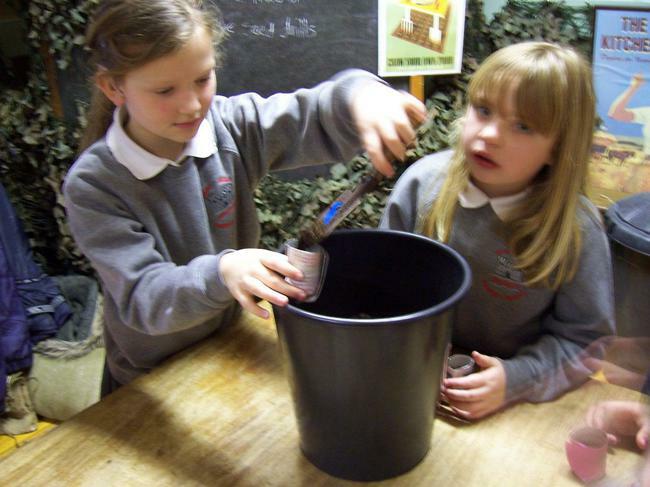 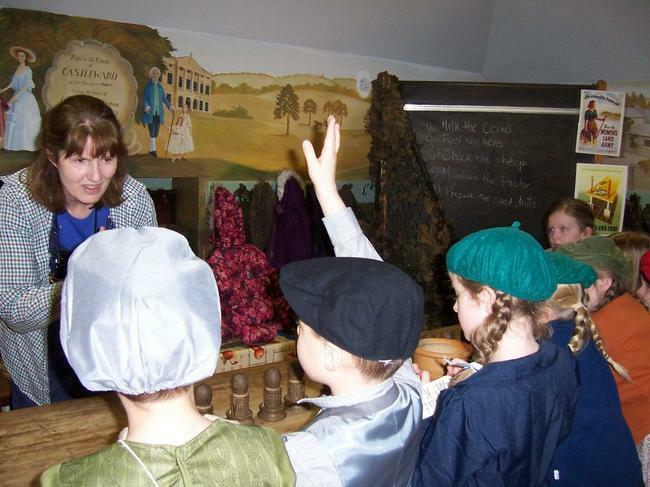 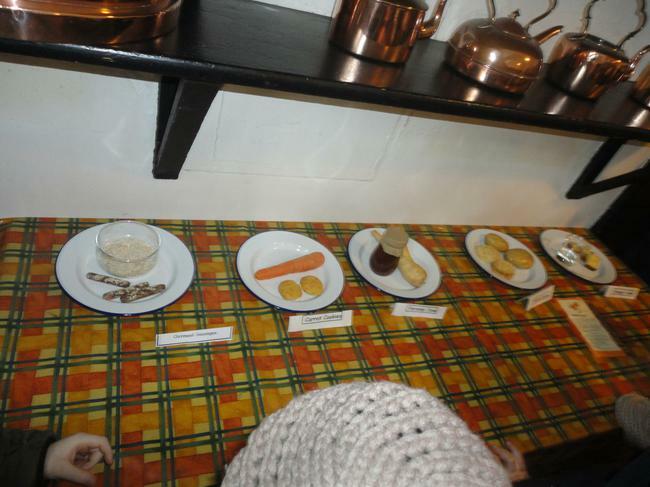 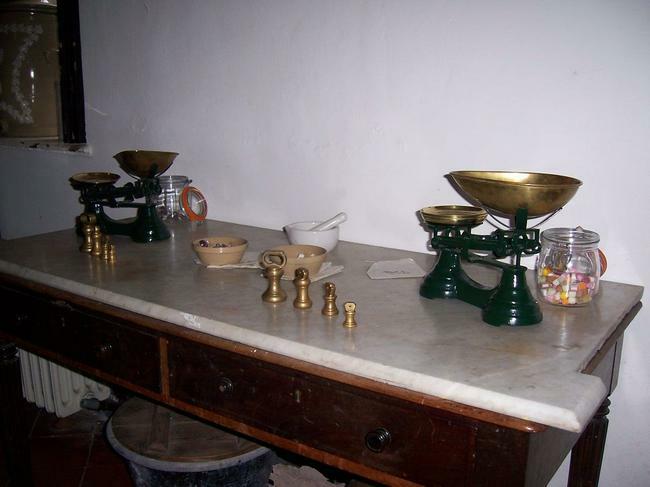 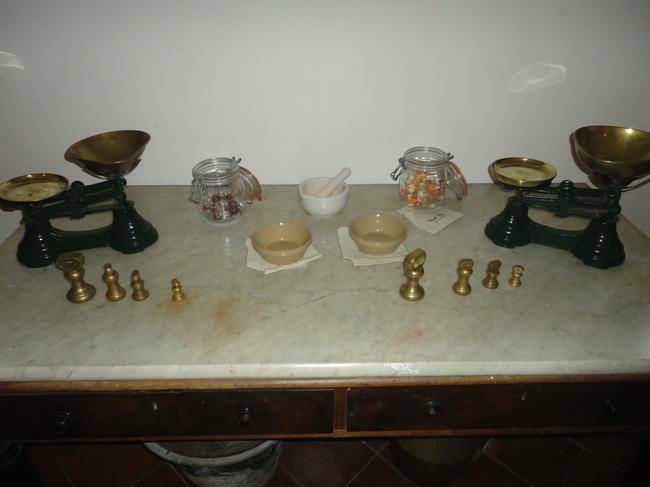 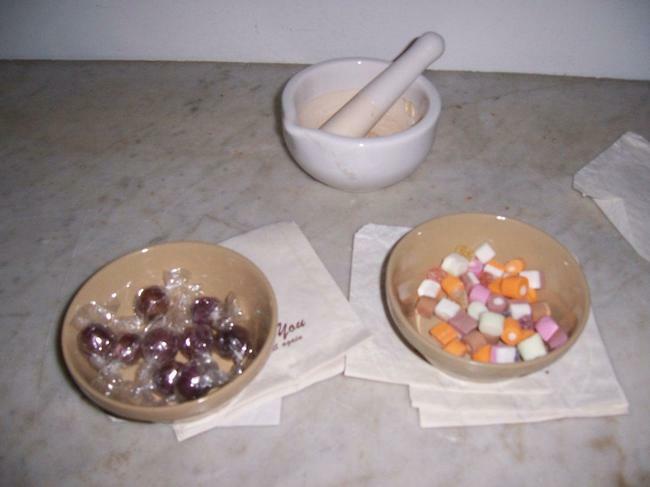 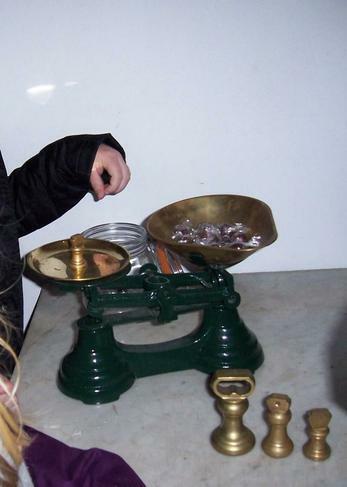 The Cook told us how to make our rations go further with some clever hints and tips - Parsnip Jam or Vinegar Cake anybody? 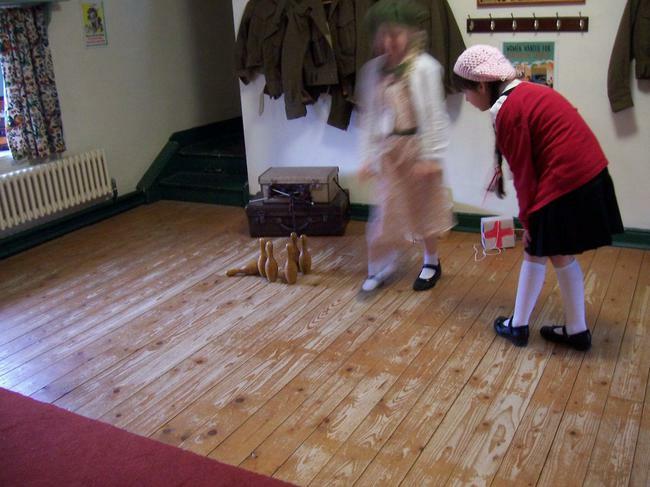 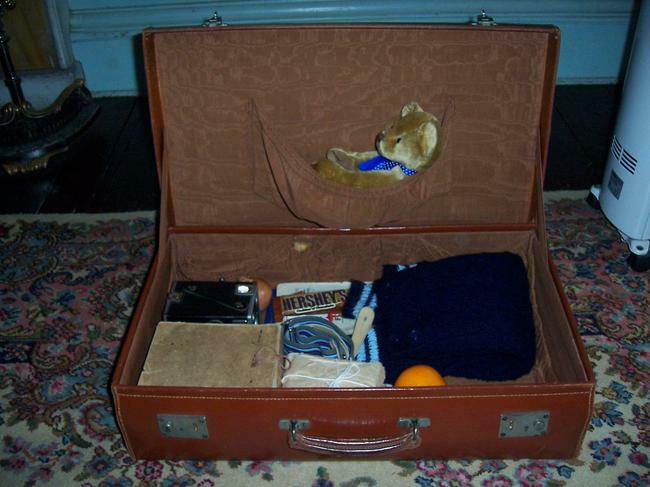 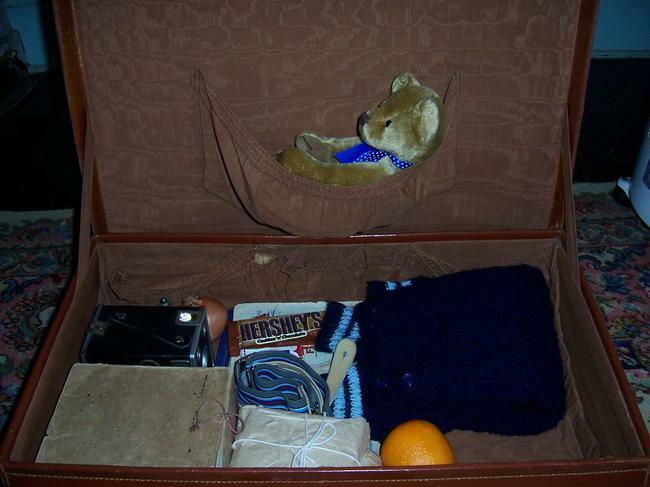 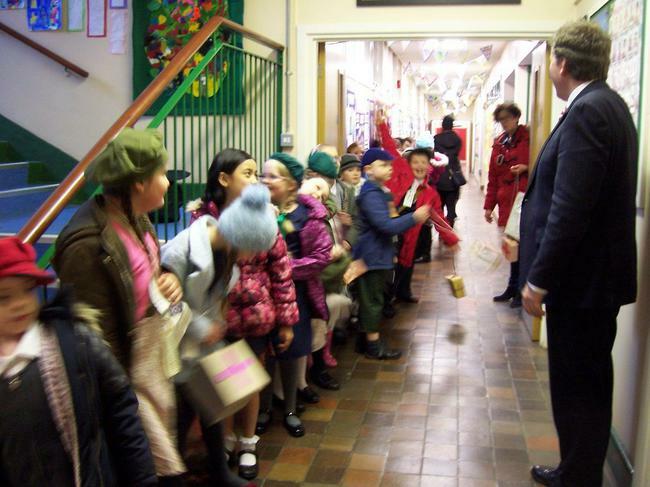 We helped the Housekeeper pack the case of an evacuee going home. 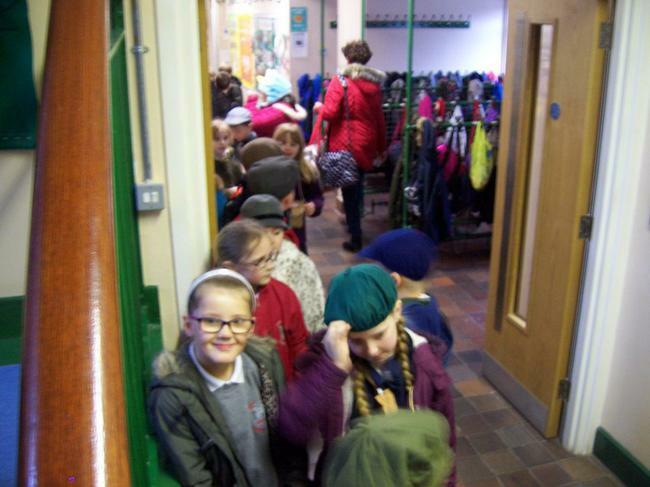 We all had a really great day and were very well looked after by the staff of Castle Ward and our parent volunteers. 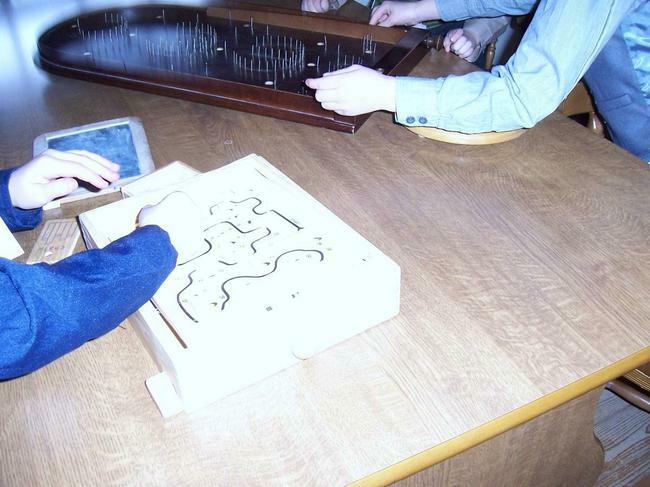 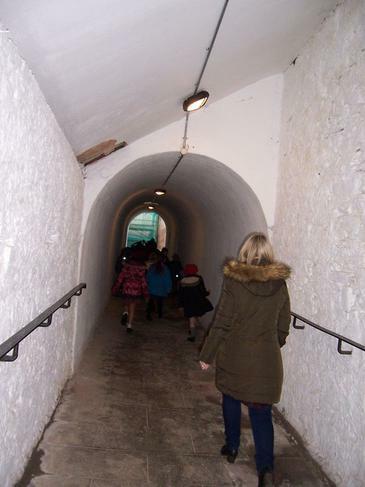 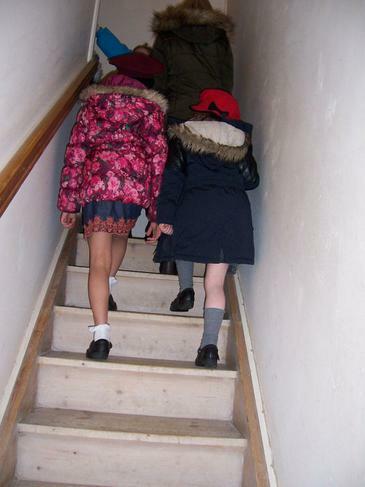 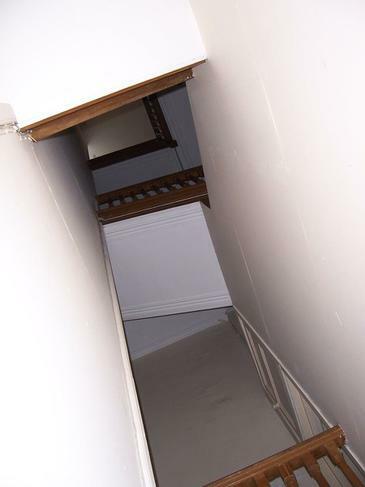 The house was a maze of tunnels and winding staircases, we didn't know where we would end up! 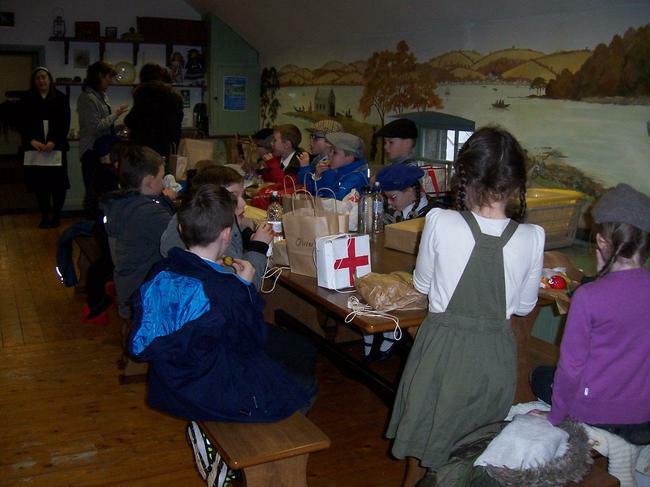 After finding out Lord and Lady Bangor's son was on his way home from the war we had lunch with our new friends before returning to school.